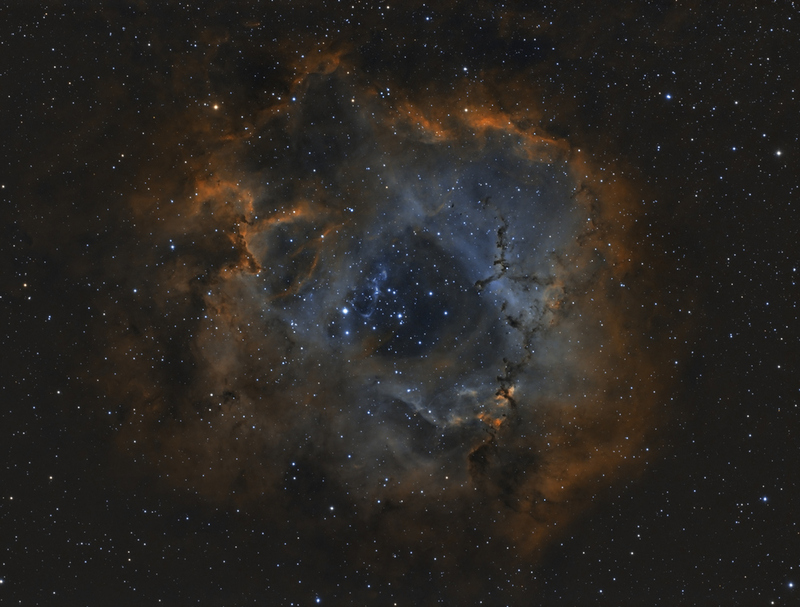 This is 6 hours on the Rosette taken over the last 3 nights from my light polluted skies in Davie. My new windows 8 laptop is up and running using Maxim, theSky6, focus max and eqmod. I've been working on getting all the software configured over the last week and this is the first real data set I've acquired with it. The new Windows 8 interface is very different, but I like it and the touch screen is a great feature to have in the field. The image is still very noisy and will I continue to add data this week as long as the sky will allow it. All in all I'm pleased with the results so far, stars continue to be very round and I'm getting repeatable good results with the new mount, camera and filter wheel.